Catch a Ride to Fun! 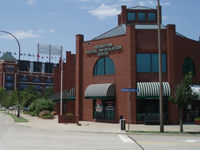 The Trolley provides service to the Texas Rangers Ballpark in Arlington for each home game of the Rangers’ season. Welcome to the Arlington Trolley! 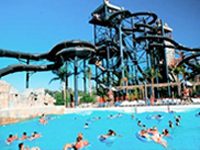 The original Six Flags theme park and the Hurricane Harbor water park. Now, when you stay at any participating hotel in Arlington’s entertainment district, you can enjoy a no-fare trolley ride from your hotel to any of these great destinations! 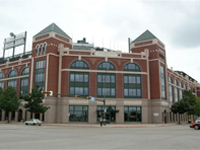 (Some of our hotels also offer fare-based service to AT&T Stadium and Globe Life Park for major events.) You get to avoid having to drive in the traffic that is part of what makes Arlington a city of vibrant change. Plus, you don’t have to pay parking fees! 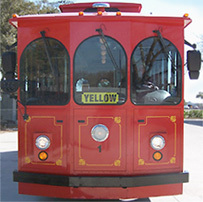 Your trolley ride is for registered guests of participating hotels only. The ride is available fare-free*: Just ask for your trolley pass at the front desk of your hotel. 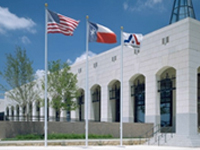 Trolleys run varied schedules during the system’s operating season – from Six Flags opening in February, to the end of the Texas Rangers baseball in the Fall. The Arlington Trolley is just one way we’ve worked to make sure that your stay in Arlington is as hassle-free and fun as possible! 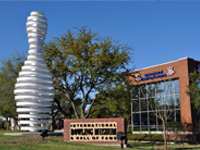 The Arlington Trolley system has been created to provide safe, efficient and reliable transportation between participating hotels and attractions in Arlington. Our service is successful in part because our riders take ownership of the rules and regulations designed to maintain the system. 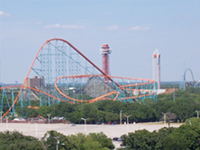 *For Regular Trolley Service to Six Flags, Hurricane Harbor, Texas Rangers, AT&T Stadium (non-event days). 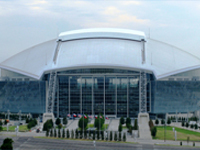 For AT&T Stadium Events, a fare-based pass (by reservation) is required for every rider. See AT&T Events page for additional conditions.